Amy E. Mitchell is a transactional lawyer based in Austin, Texas, who practices entertainment law with a focus on music, television, and film law issues. She has been licensed to practice law in Texas since 2004 and represents emerging artists and entrepreneurs as well as established professionals. Amy was selected to the 2017 Texas Rising Stars list, a distinction given to no more than 2% of young attorneys in Texas determined through peer nominations and research. Amy earned her B.A. in Spanish and Economics from the University of Texas at Austin in 1999 and her J.D. from the University of Texas School of Law in 2004. Prior to attending law school, Amy served as Office Manager of the Texas Music Office, a state agency within the Texas Governor’s Office. During law school, she attended the University College London in London, England, to study international and comparative law. 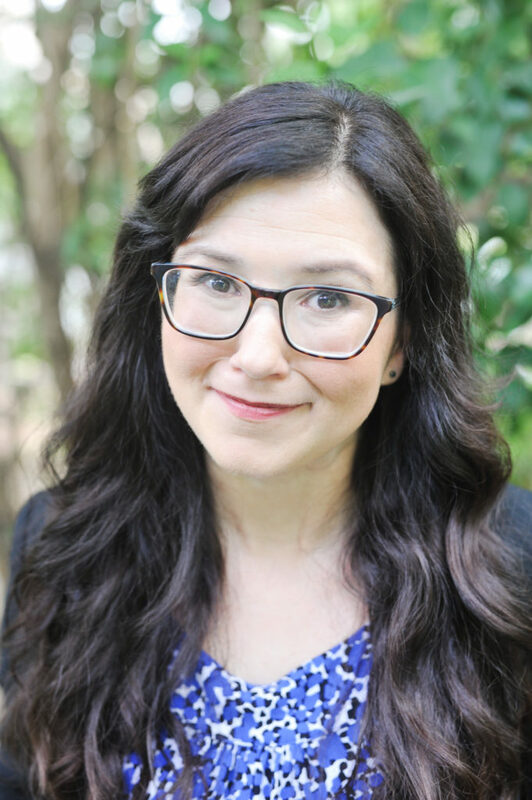 Amy served as a staff editor of both the Texas Intellectual Property Law Journal and the Texas Review of Entertainment and Sports Law; President of Women’s Law Caucus; Vice President of the Intellectual Property Law Society; and a Teaching Quizmaster. She also arranged for and directed UT Law’s a cappella group that performed during the annual law school production Assault & Flattery. A musician herself, Amy began her legal career focusing on music. Since 2007, Amy has worked closely with Christian L. Castle, Attorneys on music industry talent representation, digital distribution, content licensing, and public policy matters. In 2011, thanks to an “of counsel” arrangement with Deena Kalai, PLLC, Amy branched out into independent film and television production work and has now served as production and/or distribution legal on more than two dozen independent feature-length films. In addition, she frequently speaks and writes on entertainment law topics and maintains the educational site AskaMusicLawyer.com,which receives thousands of visitors each month. Amy is very active in the professional entertainment law community. In 2009, Amy was elected to serve on the Council of the State Bar of Texas Entertainment and Sports Law Section, holding many leadership positions during her nine-year tenure including the role of Chair from 2016-2017. In 2013, Amy successfully spearheaded efforts to charter an entertainment law section for the Austin Bar Association and was recently elected to return as Chair for the 2018-2019 bar year. In 2017, the State Bar of Texas tapped Amy to serve as Course Director for their inaugural Entertainment Law 101 program, which focuses on the fundamental legal issues to address when representing creative types. When she is not practicing law, Amy enjoys spending time with her husband and three young children. She also performs as a vocalist and/or keyboardist in several Austin ensembles, including The Pennybackers, Panoramic Voices and The Bar & Grill Singers. She has also performed, written, and/or recorded with numerous musical groups including Will Taylor’s Strings Attached, Til We’re Blue or Destroy, Dave Madden, framing strangers, Spain Coloured Orange, Golden Bear, The Unbearables, Youngmond Grand, Radar Radar, All Hail, Brothers & Sisters, Carpe Sono, Conspirare, Lila Lies (Simon & Garfunkel cover band), and her beloved collegiate a cappella group, UT’s The Ransom Notes.